Ali posted on her IG a photo of some of the other guys dancing together with Ivan in front of Ali. @Enough wrote: Ali posted on her IG a photo of some of the other guys dancing together with Ivan in front of Ali. So mad at TPTB! Why didn't they show this?! Todd dancing yes please! Seriously this looks like so much fun rather than Ivan doing the same thing over and over. Also, they totally spliced Ali's reaction for Ivan was actually her reaction to all the guys dancing! Wait...........when did this happen??? I saw Ivan dancing but definitely not a full flash mob?! Did they cut it just to make Ivan look even more cringey doing it all on his own? How dare they! I demand to see the full mob!!! Ha haa - snap @AllAboutLove. Where do we send our complaint email? ETA: LOL at Charlie being too cool to dance and/or to paranoid to leave Ali's side. @Bobette seriously it's a disgrace! You can even see Ali's reaction in the pic is the same as what they had in the episode! They spliced it! 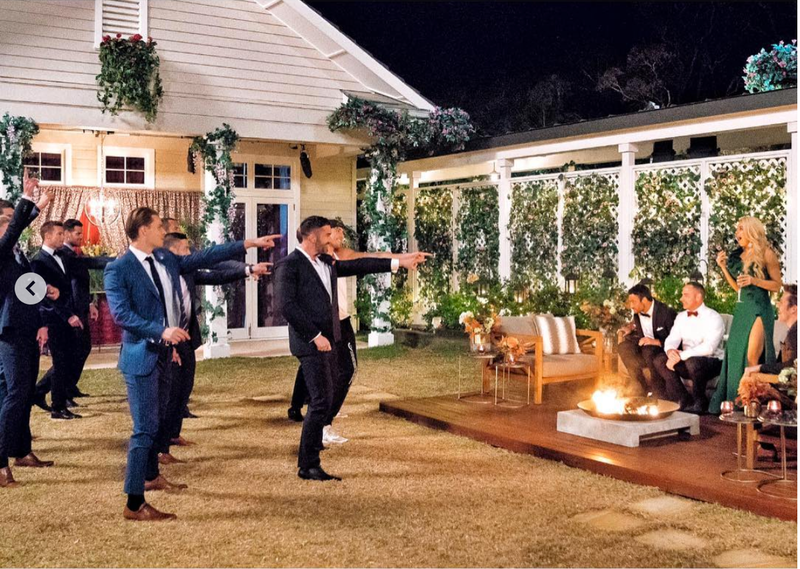 To think it could have been like Georgia's season where the guys all serenaded G. We missed out on some fun flash mob for boring drama. Filing a complaint to TEN headquarters right as we speak! That whole segment makes so much more sense now. I knew she couldn't be that excited over Ivan! She had her eyes on. @Bobette wrote: That whole segment makes so much more sense now. I knew she couldn't be that excited over Ivan! She had her eyes on. Yep. Imo other than Charlie being too much up himself I reckon most of these guys were just trying to have a good time and doing so! But not... Warner Brothers USA put in the word that there MUST be at least 3/4 of every episode focused on BORING drama! Makes me think we are missing out on so much good footage. As Ali says "Let me at em"!!!! OMG that bathing suit is so high cut she would have fit right in on Nick's season. Good to see she's up to date with her Essential Beauty appointments though - only the best for F1.